Special delivery! Who doesn’t like it when the mail carrier comes by? I especially like it when they bring me packages. I designed these little mailboxes for Kaye and Elle for Valentine’s Day. I call them Special Delivery Paper Mailboxes. I thought it would be cute to exchange family Valentines in them. At 3, Kaye in intrigued by the concept of mail. Anytime we get a package, she thinks it’s a grandma envelope from Grandma in Washington. 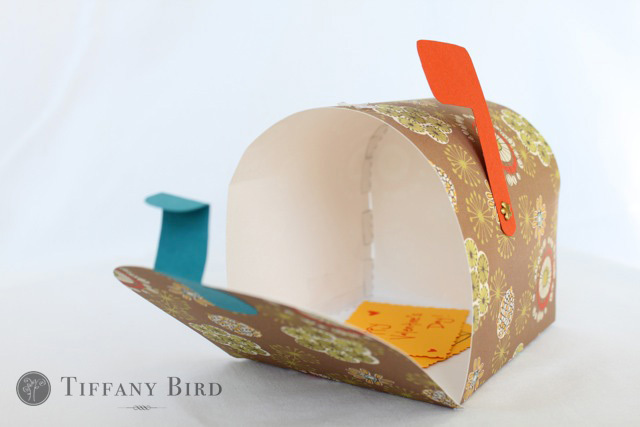 I created these paper mailboxes from my own pattern which I put in PDF format for you. While putting these together, I have found that transparent tape will be your best friend. And after I made both mailboxes and taken the photos, Nathan notified me that the flags should be pointing the other direction. Oh well. Learn from my mistakes. If you make something using this tutorial, please upload pictures of it in our Flickr group to show it off to everyone. You may be featured on Simply Modern Mom. 1. 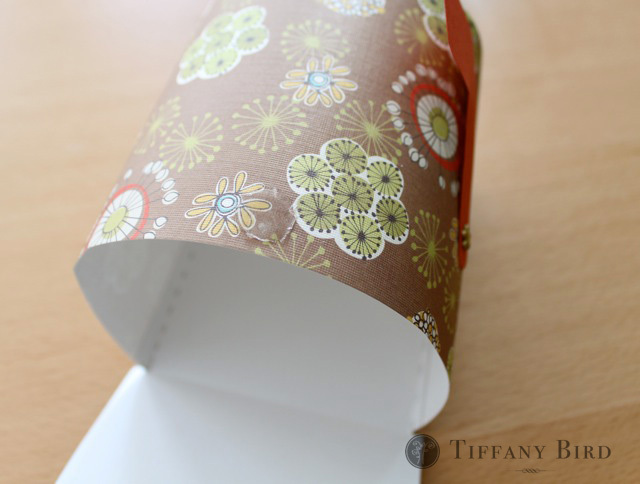 Print the paper mailbox PDF pattern. 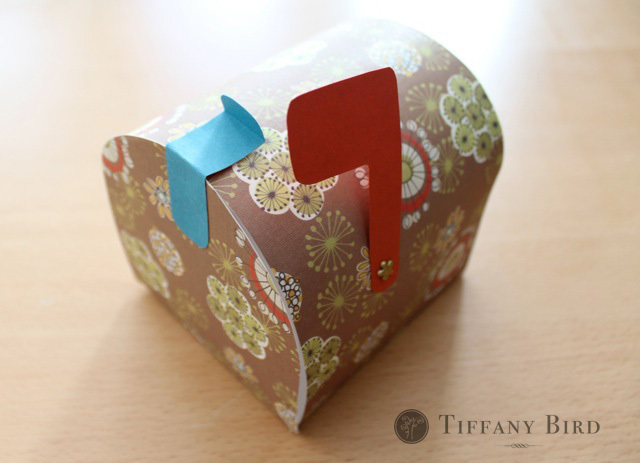 Follow the instructions on the patterns to piece together the mailbox base. Then cut out the rest of the pattern pieces. 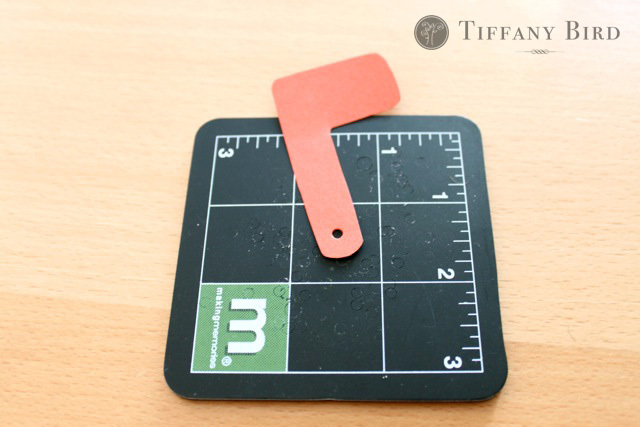 You should have 4 pieces in the end — mailbox base, mailbox cover, flag and tab. 2. 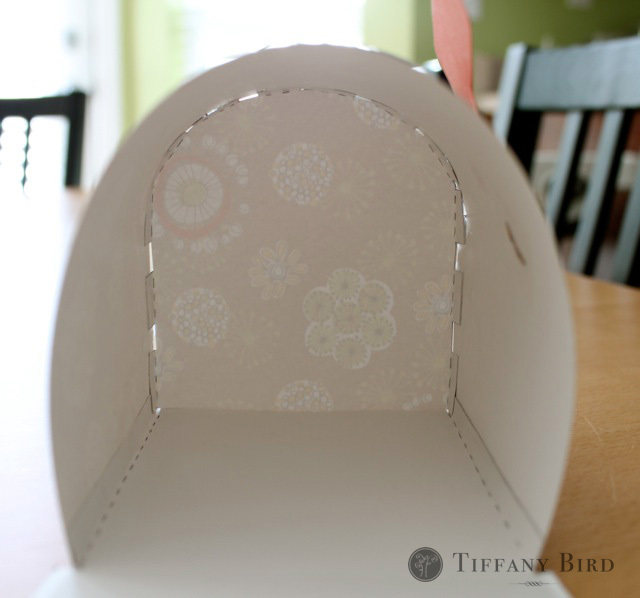 Trace the mailbox base and mailbox cover pattern onto a 12″ x 12″ cardstock paper. 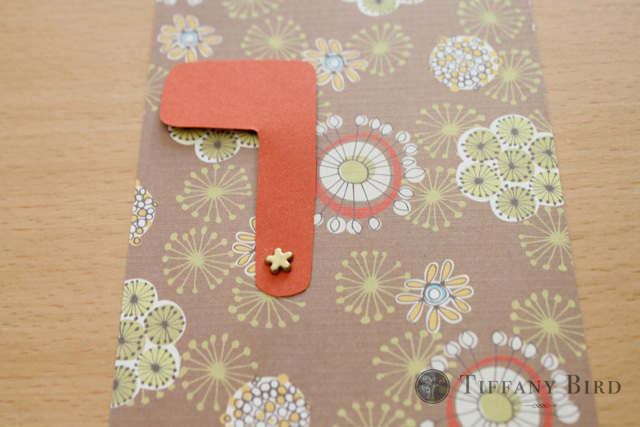 Then race the flag and tab patterns onto the coordinating color papers. Make sure you cut the tabs as shown in the second picture below. 3. Cut out your pieces. 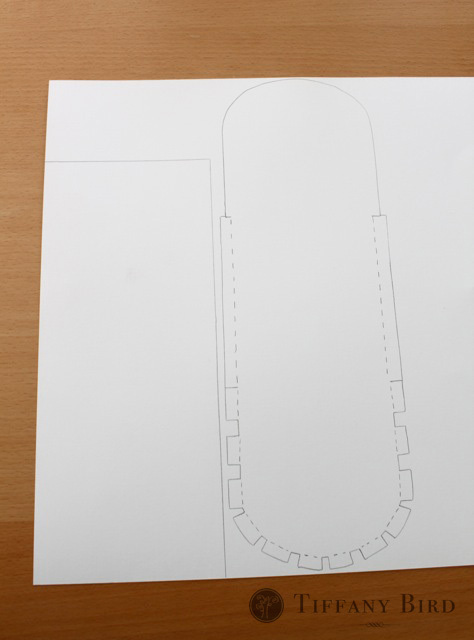 Cut the solid lines and fold the dotted lines. 4. 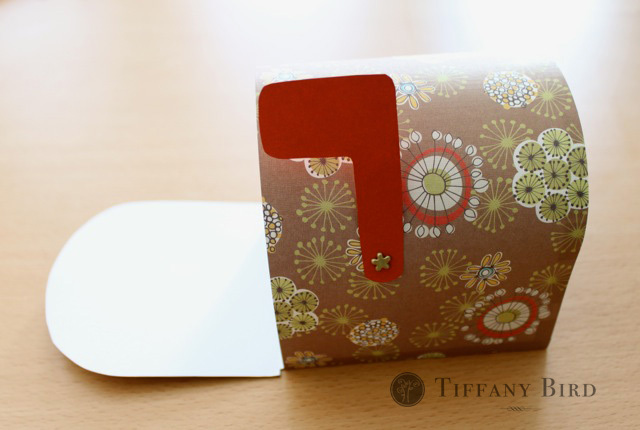 Use hole punch to cut out the holes at the indicated circles on the flag and mailbox cover. 5. Fold the tab according to the folds indicated on the pattern. 6. Use a brad to attach the flag to the mailbox cover. Secure the back of the brad with a piece of clear tape. Make sure you don’t make my mistake of pointing the flag in the wrong direction as shown in the picture. It is supposed to go the other way. 7. Apply glue to the tabs on the mailbox base. 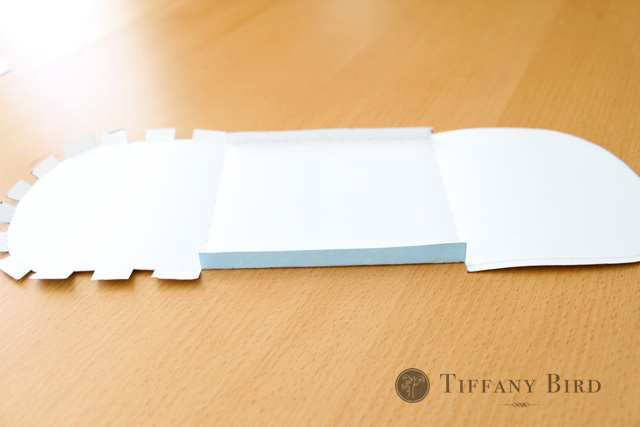 Then attach mailbox cover to the base by matching the tabs. The short sides of the mailbox cover attach to the long tabs in the middle section of the base. 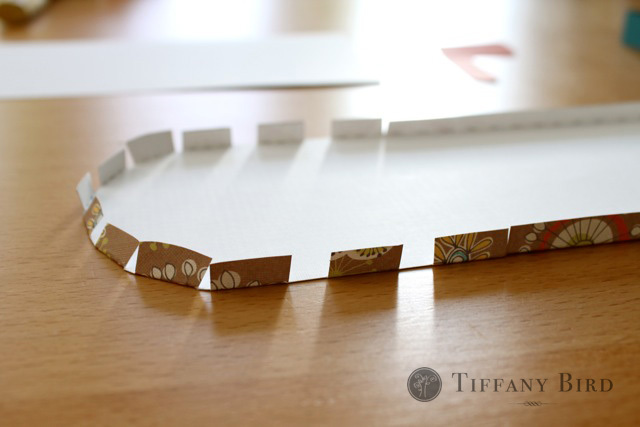 The trick is to use clear tape to help keep the glued parts together, especially at the curves. 8. 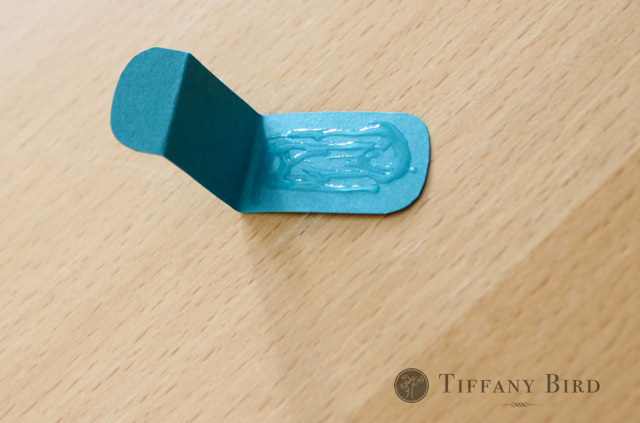 Apply glue to the full half of the tab, not the half with a second fold. 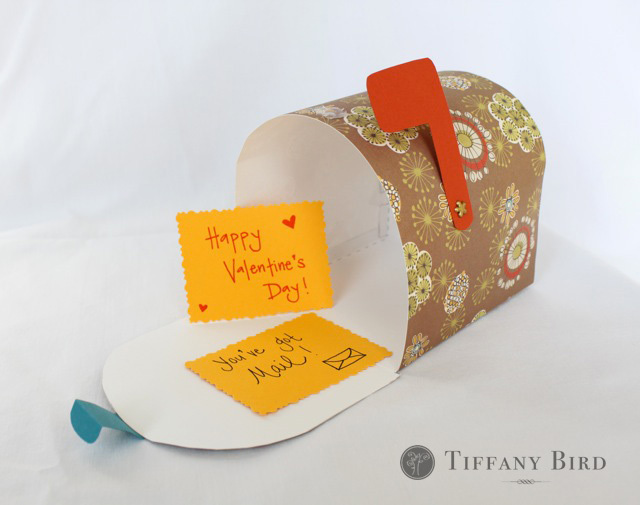 And attach it to the top center of the open flap of the mailbox. 9. 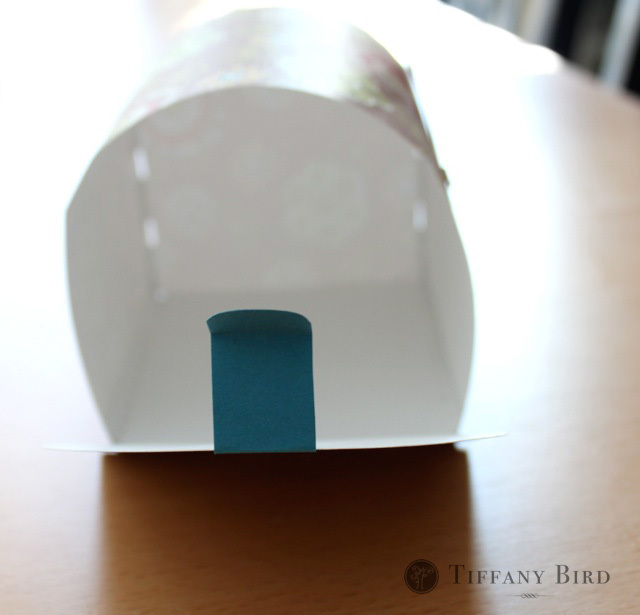 Using Glue Dot’s instructions on the box, apply a removable Glue Dot to the top center of the mailbox. Make sure it’s the point where the tab on the open flap touches. Let me know if any part of the instructions are not clear. Happy mailing! How fun – I’m going to make these for my two and a half year old granddaughters! They’ll love it! 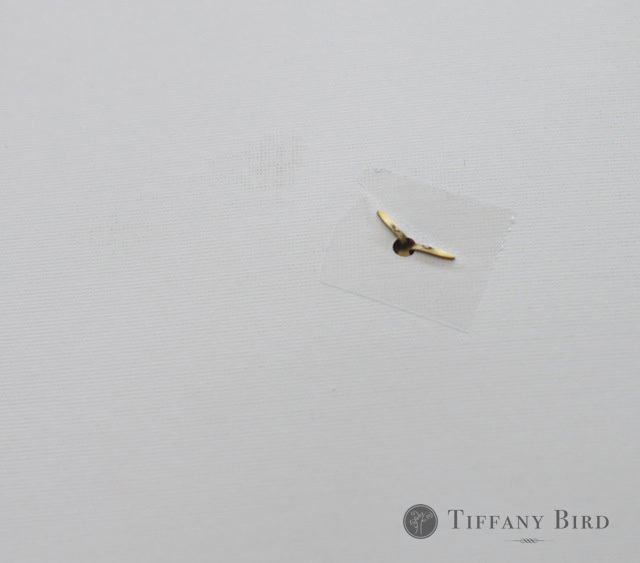 Thanks, Tiffany! These are just too cute!! Love the idea. awww, love them. 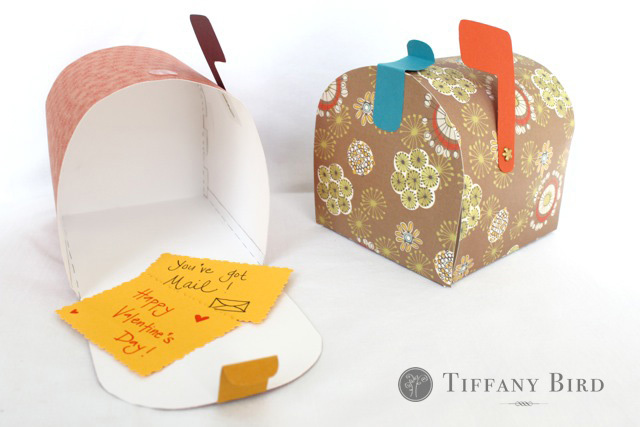 just bought some red and pink mailboxes from Target to use here in the house this year for the kids to all be able to give each other Valentines, but maybe we’ll try this another time, really cute! VERY cute!! 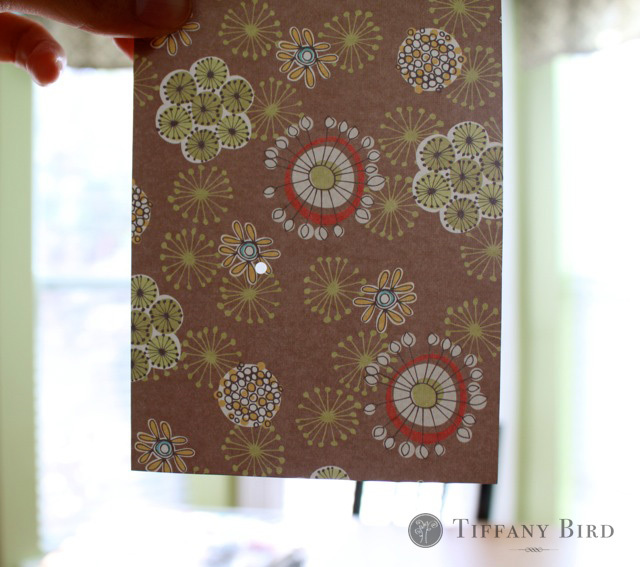 I love the scrapbook paper that you chose! So cute, thanks for sharing the template. 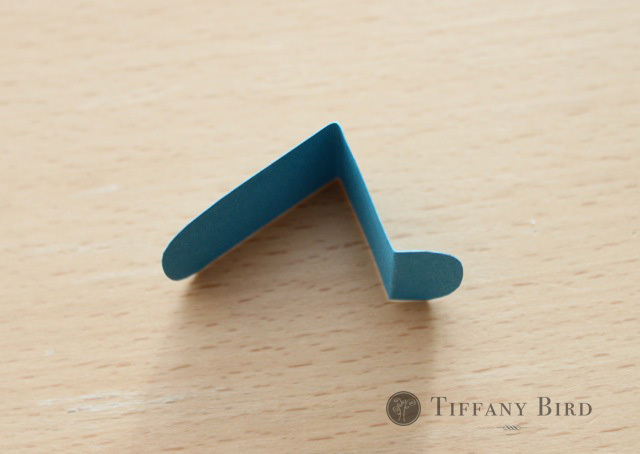 Wow, I didn’t realize these could be made from paper… so cute. Thanks for sharing…come say hi. Aw, great! I was actually working on a paper template myself, but now I will scrap that and just use yours. I totally love those little mailboxes, so pretty! Muchas gracias excelente idea. Un abrazo. I tried to make something like this last week and failed miserably. I wish I would have seen this sooner. I featured it at somedaycrafts.blogspot.com Grab my “featured” button. I love this!! Thank you for taking the time to show us how to make it! This is so cute! I can’t wait to make this for my little one’s. Thank you for sharing your template! I’m just beginning to find my craftier side and you are sort of my hero!!! I love this and can’t wait to make this with my daughter. Thanks for the fun craft! That’s so sweet! Thanks for the tutorial! thanks everyone for your kind words regarding this tutorial. happy valentine’s day! this is EXACTLY what i’ve been looking for..thank you so much for the tutorial and pdf..absolutely gorgeous!! velcro sticky pads would work great too.